Now I don’t really hold back on my thoughts of Summer, I’m not a fan. I hate being dead warm and relatives you don’t like see it as an excuse to make you go round and eat really burnt food. But if I had to do summer, I’d do it properly and do it like California do, they’re big fans of the sun over there, they love it. 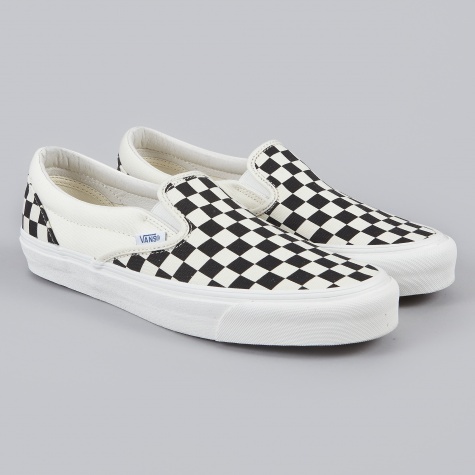 So I’m all about things like The Beach Boys and Dogtown skateboarding, that kind of California, blonde hair, surfing, slacks and Vans Slip Ons. 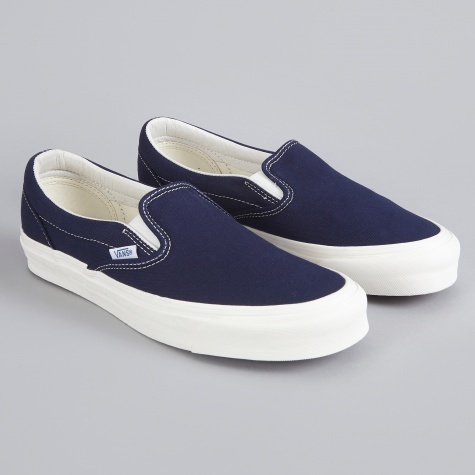 So when I was doing the usual wander about the internet looking what’s been happening, I was very excited to stumble across these OG Slip Ons that Vans have just released. 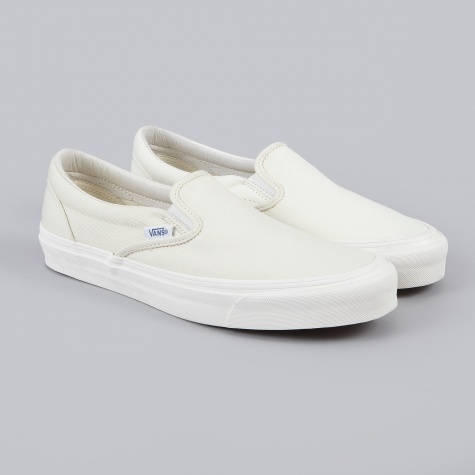 They’re proper nice, especially with that chunky white sole, they’re just gonna look mint with a pair of jeans or shorts. Anyway, Goodhood have them in peacoat blue, black, white (which is more of that parchment white that Converse use) and even white and black checkerboard incase any of you wanna relive your mosher days from high school, yeah that’s right we’ve all seen the photos of you with a mohawk and a shirt with flames on it. My personal favourites are the peacoat blue ones, i’ve just got a pair of beige chinos as well that I think are gonna look mint with them, nice clean look for summer. Not gonna see a lot of people wearing that Beach Boys look, so get on google and get looking at some images of them, alright?